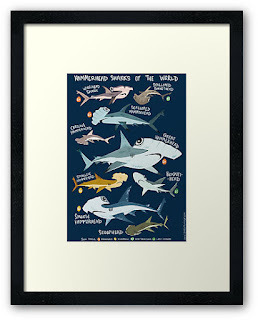 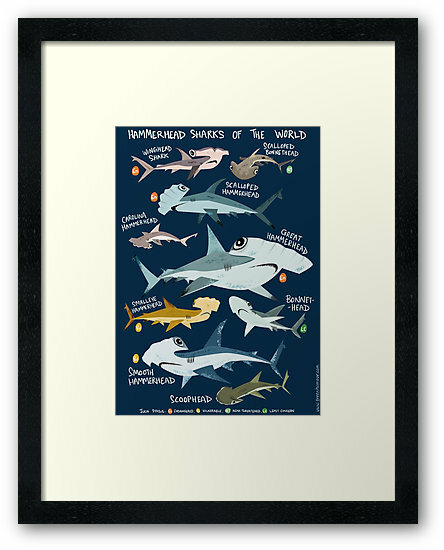 Know your hammerhead sharks with this new poster! 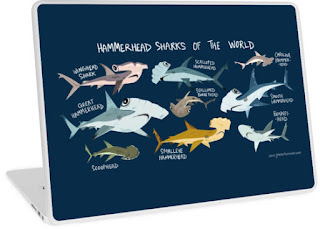 There are 9 species of Hammerheads (10, if you include the Whitefin Hammerhead, which is lumped with the Scalloped now). 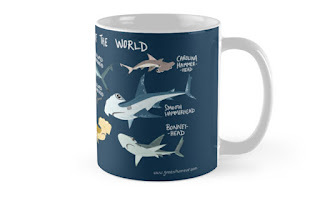 The Great Hammerhead is the largest species while the Scalloped Bonnethead is the smallest. 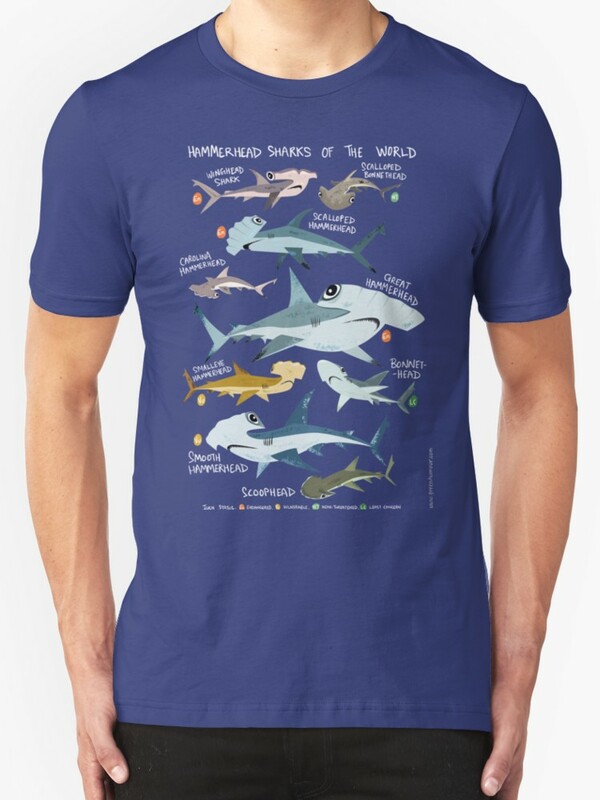 The 'hammer' or 'cephalofoil' is used to locate and immobilize prey (specially rays, which are a favourite food of the larger hammerheads). Widely hunted for their fins, hammerhead populations are on the decline, with three species already endangered.